Need a big gift? Give the world! 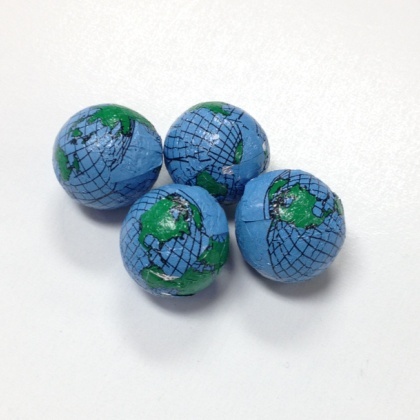 Creamy solid milk chocolate wrapped to look like miniature globes. Makes a great gift for your child's teacher! 6 oz. Approx. .75 inches in diameter and 5 pcs per oz. OU Kosher Dairy. Made in USA.